The First Access Visa® Solid Black Credit Card is a smart choice for "Poor" credit and no credit consumers looking to raise their scores. It offers a no-deposit card that reports to all three credit bureaus monthly, making it easy to raise your score with responsible usage. 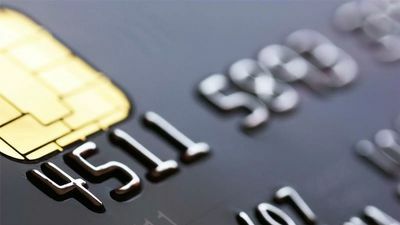 When it comes to sub-prime credit cards (or cards for bad credit, if you’re so inclined) they usually come in two forms: secured credit cards and unsecured credit cards. A secured credit card is one that requires a deposit, and an unsecured card does not. An unsecured card functions the way you would expect a credit card to function. It offers you a line of credit in good faith that you’ll make timely payments. If you have “Fair” credit or worse, finding an issuer that extends said “good faith” without strings attached, like a deposit, can be tricky. First Access Visa® Solid Black Credit Card offers a solution that’s accepted everywhere Visa is. If you’re looking for an unsecured card, the First Access Visa® Solid Black Credit Card may be the right one for you. How can you know? Do you have “Poor” credit? Are you looking for a credit card that doesn’t require a deposit? Are you fine with an initially low credit limit? Can you pay in full and on time each month? If you answered yes to all 4 questions, and you don't mind paying an initial program fee, this could be the card you’ve been waiting for. This card is not recommended for people who need a large credit limit or intend to carry a balance because of limitations with regards to the credit line, high APR and other fees. If you use this card irresponsibly, it can hurt you. The issuer reports to all three credit bureaus, which is a great thing if you plan on being smart about how you use your card and building credit. All in all, First Access Visa® Solid Black Credit Card is a good choice for people with limited options for unsecured credit cards, and this is reflected by a high number of positive consumer reviews online.